Any houses built past the 1970’s is unlikely to have been fitted with a Gas Fire when the house was built, and any Gas Fireplace you will find in one of these houses is likely to have been retrofitted by the homeowner themselves. If you are considering adding a Gas Fire into your home, then there are a few reasons why you should stick with the idea. Not only does having a fire create a fantastic focal point to any room, they can also add significant value to your home whilst saving you money on your heating bills. Not having a chimney is not an issue in installing a Gas Fire. At CVO we supply a wide range of Flueless Gas Fires and Balanced Flue Gas Fires, all of which have been designed & created by us. Below we run through a couple of our most popular Flueless Gas Fires and Balance Flue Gas Fires. 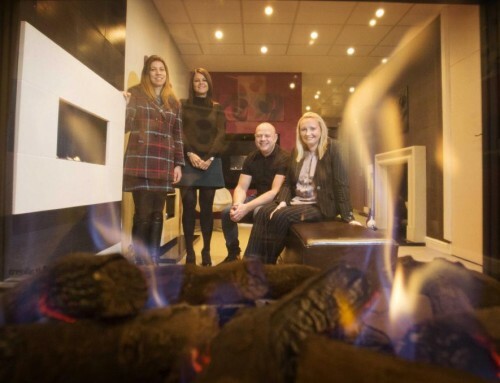 100% efficient, the advanced design of our Flueless Gas Fires ensure that there is zero heat waste. All can be specified in open flame and do not require any chimney or flue system. Whilst Inferior Flueless Gas Fires use a catalytic convertor to ensure that any waste gas is made safe, our advanced gas burner technology negates this requirement – our burners are so efficient there is no waste. 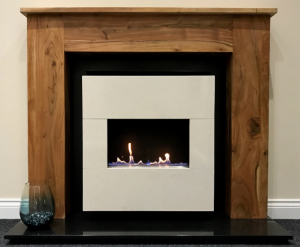 All of our Flueless Gas Fires also help reduce household bills, and are 70% cheaper to run than other heat sources such as electric, wood or bioethanol. 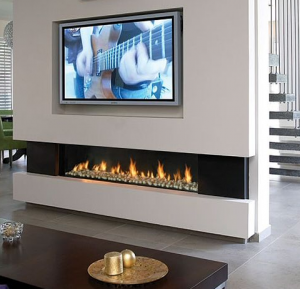 Furthermore, all of our Flueless Gas Fires have been designed with ease of installation in mind. Almost ten designs are available, and all have been carefully designed to work with both contemporary and traditional interiors. 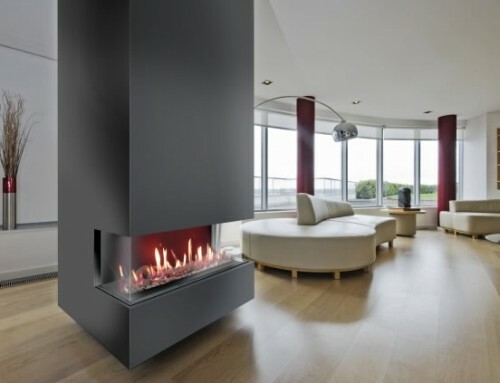 One of the most popular with contemporary homes is the Moderno Flueless Gas Fire. 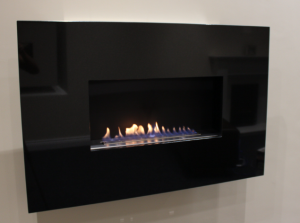 This fire has been featured on Grand Designs and The Homes Show, and combines an open flame burner with a black interior and a 20mm thick natural stone fascia. One of the more traditional Fires is the Bonita Suite Traditional Flueless Gas Fire. This fire combines our own award winning Flueless Gas Fire technology with the addition of a solid wood surround and black granite hearth. It makes a beautiful addition to any home. Balanced Flue Gas Fires are one our bestselling types of fire, and are used in a wide range of rooms including living rooms, bathrooms and bedrooms. All of our Balanced Flue Gas Fires here at CVO have been designed and manufactured in Italy to the highest quality – not only looking fantastic, but also meeting all building codes for energy efficiency and safety. The full range includes front only, two sided, left sided, right sided, three sided, peninsular and stove models. These fires work without the need for a Chimney. Their design means they are completely sealed from the room they are in, with a glass front. The air needed to operate the fire is drawn in through an outer pipe, whilst an inner pipe removes all of the combustion gases to the outside of your property. These fires are incredibly efficient, and incredibly safe. One of our personal favourites is the Venezia 130 Balanced Flue Gas Fire. Supplied with logs or pebbles, this fire creates a unique atmosphere in any room, with an incredibly long and almost widescreen view of the fire. It’s most commonly used in modern homes and interiors.